In honor of Breast Cancer Awareness Month, the LPC team has joined together in raising awareness for those affected by this disease. Every year, our LPC communities find different ways to give back and raise money all while educating others. This year, our staff members are participating in an “On Wednesdays, we wear pink” challenge to show our support by wearing pink, the official color of breast cancer awareness. In honor of this year’s campaign, Communities for the Cure, we are sharing stories from members of the Lincoln Property Company team that detail their experiences with this disease. Remember, together we can make a difference. My story began with a digital 2D mammogram in July 2015 that came back no evidence of cancer. I have lived a very healthy life and was doing what was recommended as I turned forty by getting a mammogram. Then on Friday, October 30th 2015 (only three months later), I bumped my breast causing a bit of pain. Over the next few weeks for some reason I was drawn to the area that I had bumped and I felt a very small lump. Out of concern that it was from the injury, I made an appointment with my doctor. She thought nothing of it, said it was too small for a mass and suggested it was most likely from the injury. I was sent for an ultrasound “just in case”. Thankfully for the “just in case” test it was found I had calcifications that needed to be biopsied. Hearing this was one of the scariest moments I had during this experience. I was biopsied two days before Christmas on December 23rd, 2015 and told my results on December 29th, 2015. I will never forget sitting in my doctor’s office waiting for him to come in. All I could think of is that in the next few seconds my life could change forever. He told me I was diagnosed with extensive DCIS stage 3 in my right breast, but most importantly this was considered stage zero cancer and very treatable. My doctor recommended a lumpectomy but again I went with my instinct and got a second opinion. A friend referred me to one of the best oncologists in the country at Massachusetts General Hospital in Boston. After many appointments, tests, ups and downs it was determined the second opinion was right, the area was too large for a lumpectomy and a mastectomy was my only option. On January 27th, 2016 I had a bilateral mastectomy with immediate reconstruction. The final diagnosis of my pathology was extensive DCIS with very few cells that had broken the duct and become invasive (micro invasive carcinoma). Basically, my invasive cancer was the size of a peanut! As a result of my proactive approach I was not required to undergo radiation or chemotherapy. ALL of which I consider a blessing now! My wish is that somewhere along the line of my story, you will recognize the importance of self-breast exams and 3-D imaging mammography! Conventional mammography done with 2D imaging did not detect my DCIS and early detection saves lives :). This experience has made me a stronger person and I don’t take anything for granted. I am thankful for the support I received along the way from the wonderful people in my life: My family, friends and colleagues at Edgewood/Lincoln. In 1995, I was singing in a country band in a bar in Spring Lake Park Minnesota. Little did I know I was about to begin my Property Management career and become lifelong friends with a gal while headed to the restroom. Cindy was the wife of the guitar player. She and I struck up a conversation in the bathroom when she said “You’d make a great leasing agent”. She gave me her card and within 2 weeks, I was working for her at a downtown hi-rise as a part time Leasing Agent. 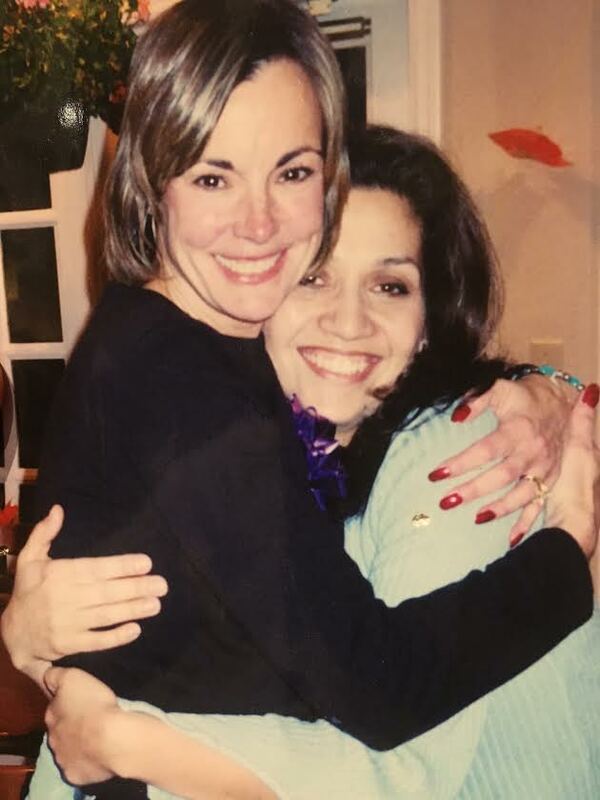 Cindy was an amazing manager and mentor. Patient, smart, stern, and compassionate. I went full time at what would eventually become Woodbury Park at City Centre. We opened the property in 1998. In 2002, she came to me with shocking news: she discovered a lump. We both thought “It’s probably nothing”. A few days later after her doctors appointment, I anxiously waited for her to call. I saw her drive in the parking lot, which I thought was a good sign, but the look on her face when she stepped out of the car told me that there would be no good news. Cindy was diagnosed with breast cancer. Over the course several months, I watched Cindy show up early for work as usual, work her 10 hour days as usual, go to meetings, sit through conference calls, and run a property without skipping a beat. She took Friday afternoons off for chemo so that she had the weekend to recover. She knew that she would eventually lose her hair so her team came up with a plan. The office team, including Cindy headed off to the salon to get all of our long hair cut short and the maintenance team said they would shave their heads. Well, they actually agreed to let Cindy shave their heads. She took the clippers and one by one, went after their heads. One member of the maintenance team wasn’t present on ‘hair day’ and since he was already balding, he showed up the next day, threw his leg on Cindy’s desk and donned his freshly shaved (and slightly butchered) legs. Jim shaved his legs for Cindy. We laughed until we cried and still laugh about it today. Of course there were a few bad days, I’m sure she had many more but she wouldn’t show us. Under her baseball cap and scarf, I watched her walk through this time with poise, grace, humor and of course tears- sad tears and happy tears. Cindy has been cancer free for 15 years. Now. I sit at the helm where she once sat and look at a picture of us together every single day when I sit at ‘our’ desk. She lives in another state now, but the majority of us from that time remain close. It was a scary time, but she made the best of it and made us all make the best of it, Cindy showed us the most amazing courage and taught us to face uncertainty and fear head on in any situation. She is a source of strength for me and will always be my hero. 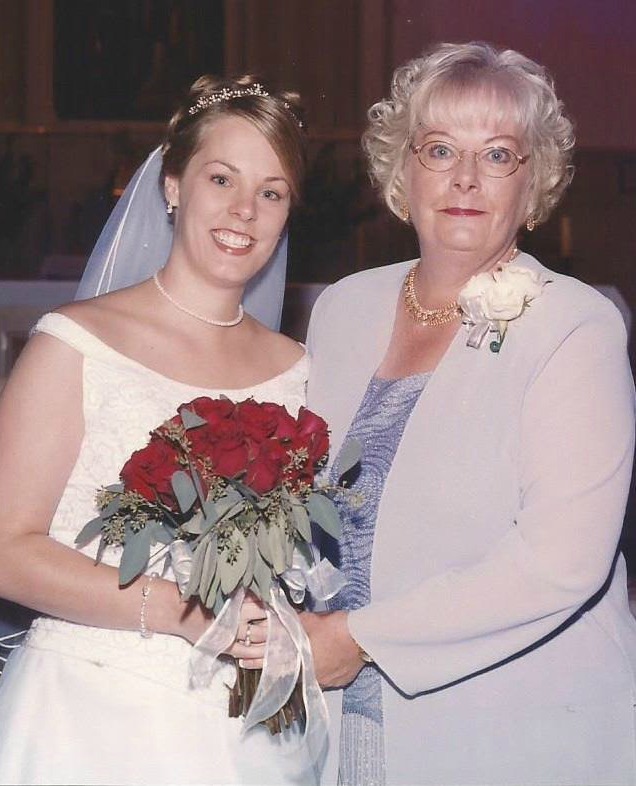 My mother, Sue Winters, was diagnosed with Stage 4 breast cancer when she was 60. She learned that it had also spread to her lymph nodes. 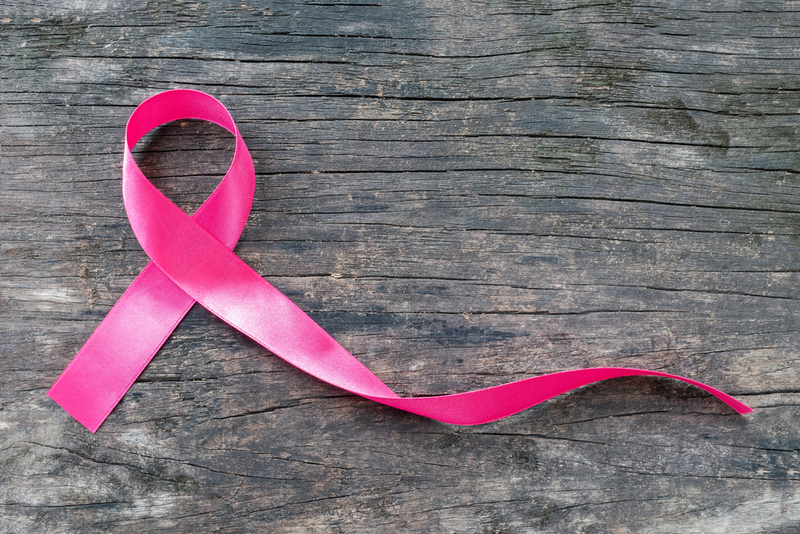 She underwent rounds of chemo and ultimately had a mastectomy. She was almost cancer-free until in May of 2015, when she started having bouts of amnesia. She had as many scans as possible to identify what could be causing the amnesia. They finally scanned her brain and found at least 10 lesions on her brain. The cancer had unknowingly spread to her brain in between the 6 month visits she had to ensure she was in remission. She immediately began chemo and she told me “I’m going to live longer than you.” She was also on a steroid treatment that reduced the swelling in her brain and also made her very confused – she just wasn’t really the same. 6 weeks after her lesions on her brain were discovered, on July 13, 2015, she passed away. She was 64 years old. Please share your experience or a picture of you in pink for Breast Cancer Awareness Month using #CommunitiesForTheCure and #LPCTurnsPink.